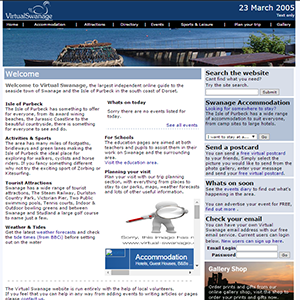 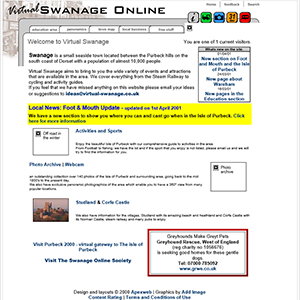 The Virtual Swanage website was started in August/September 1996 by Brian and Andrew Dorey on their Amiga 1200 computer to experiment with building webpages as a hobby which went on to become a successful web design agency. 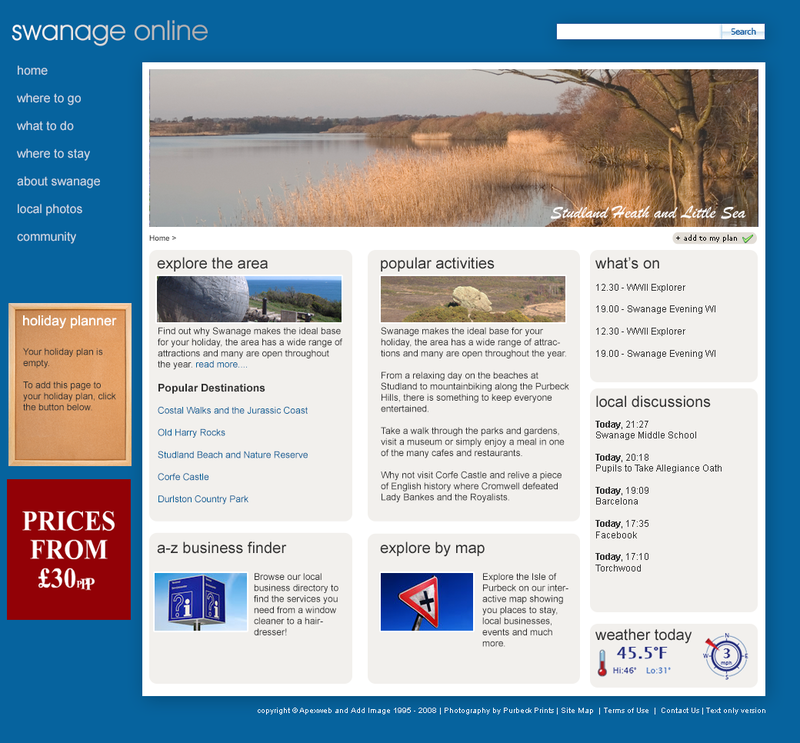 Business listing page which had 2 businesses who also had websites in the area. 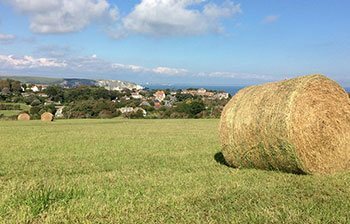 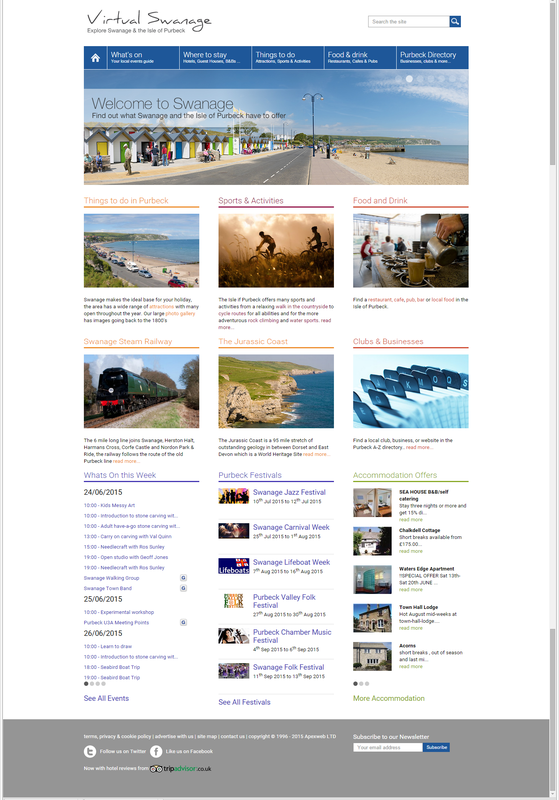 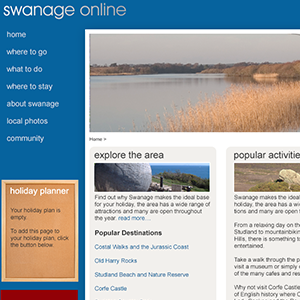 The website has grown considerably since its launch and now has over 2500 pages, events, business listings and photos of Swanage and the Isle of Purbeck. 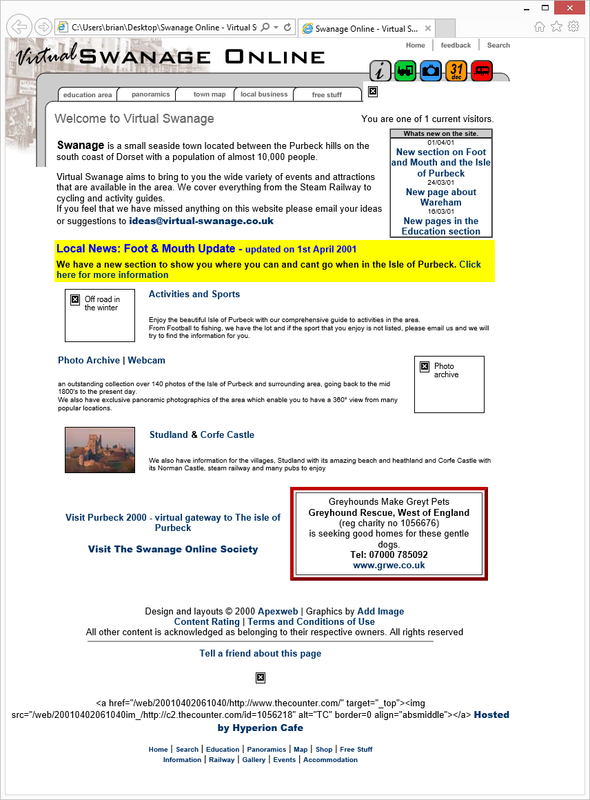 We also hosted a popular community forum for several years but with the arrival of Facebook many of the forum users moved to there to discuss local issues. 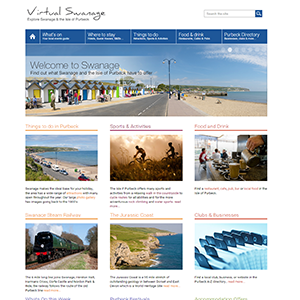 With the 20th anniversary of the launch of the Virtual Swanage website coming up in 2016 we thought we would track down some of the previous styles and layouts the website has used in the past 19+ years. 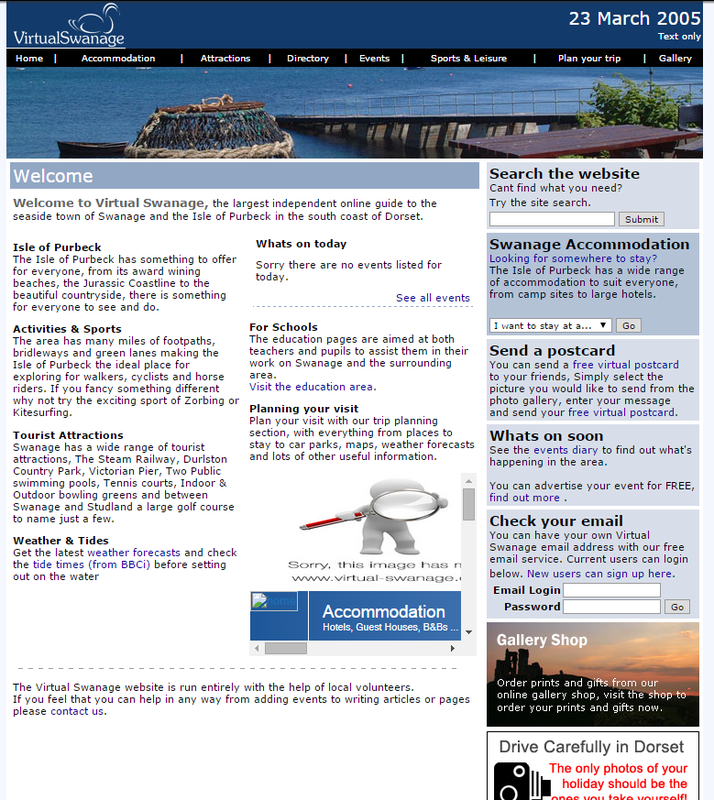 You can click on the small images below to view the full size screen shots of the website.